General TV Channel / BN Televizija or BN TV is a Bosnian commercial television channel based in Bijeljina, Bosnia and Herzegovina. BN TV is part of RTV BN television network company which was founded on 5 May 1998. It mainly broadcasts in the Serbian language using the Cyrillic alphabet. 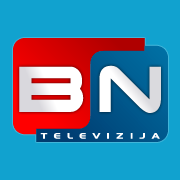 BN Televizija is a 24-hour channel with news, political and entertainment programs. RTV BN is currently the highest rated TV channel in the Republika Srpska entity and it is one of leading commercial TV channels in Bosnia and Herzegovina.